I think it was when Martha Stewart reached her pre-prison heyday that I started purchasing unsalted butter exclusively. I remember her saying on her TV show, which I watched every Sunday morning like domestic church, something about how it was her secret to everything. Since most of Martha’s recipes featured butter (also cream, like Julia Child), I soon went for the Land O’Lakes package with the blue type, not the red type. The other day, though, I had a piece of toast and found it decidedly lacking. I’ve since upgraded to Irish Kerrygold butter, but just plain unsalted butter on my toast didn’t seem to add much flavor. So I wondered: Should I still be using unsalted butter for everything? 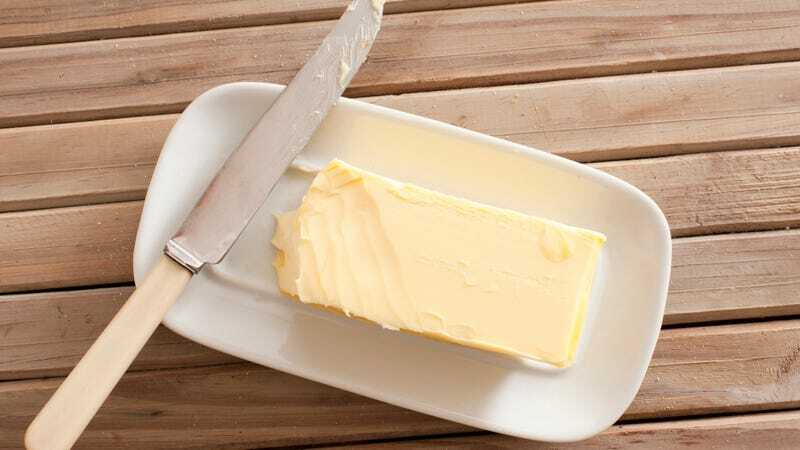 I went to the experts—a variety of chefs—and found out that the answer is a nearly unanimously “yes”: Unsalted butter is the way to go. He has a helpful analogy to describe this culinary relationship: “Unsalted butter is a blank canvas, while salted butter is a coloring book.” Also, “It is the quality of butter that can really change the landscape for what is possible. We use 83 percent unsalted European style butter, the high fat content allows butter to take on more projects around the kitchen as well as great flavor by itself.” Hence my switch up to Kerrygold. As I obviously should have suspected, Martha Stewart was right all along. So I’ll stick with my unsalted butter, and maybe add some sea salt to my toast next time.